last august i’d waxed poetic about the verdura cuff. it so successfully channels mrs. vreeland. 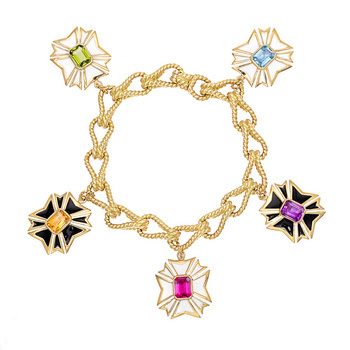 but…i’ve recently switched my allegiance to the verdura charm bracelet. a little kinder and gentler. like me.